Chiang Mai International Rotary Club (CMIRC) meets at the Hong Kong Lucky Restaurant which is located at 5/8 Soi 7, Ratchadamnoen Road, Muang Chiang Mai 50200. We are in the old city, just off Sunday Walking Street GPS Coordinates: Latitude: 18.7887956638381, Longitude: 98.9849171072235. 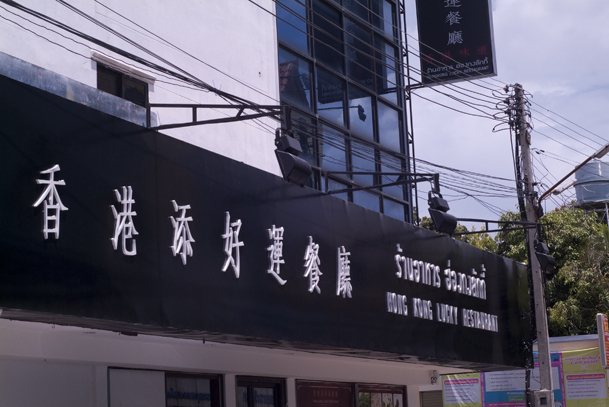 Directions to Hong Kong Lucky Restaurant from Thae Pae Gate: Go West down Ratchadamnoen (Sunday Walking Street) immediately past the Muang Chiang Mai Police Station. 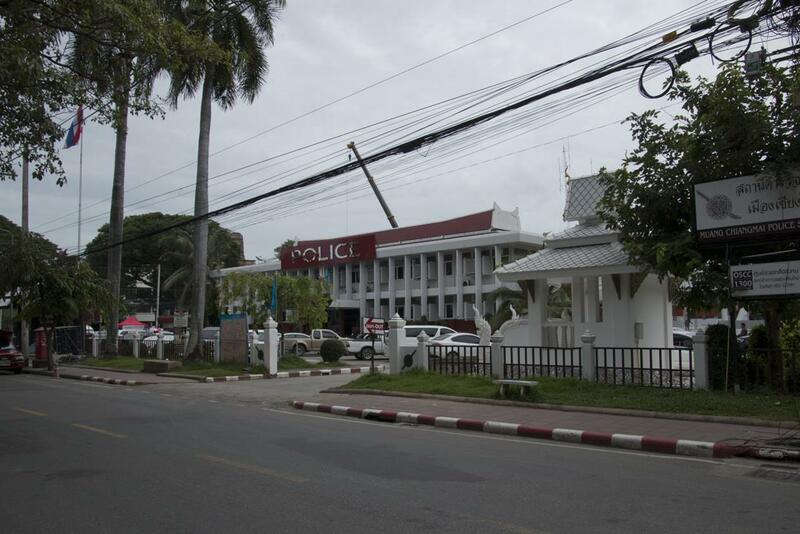 Soi 7 is on your right, opposite the West end of the block occupied by the police station. 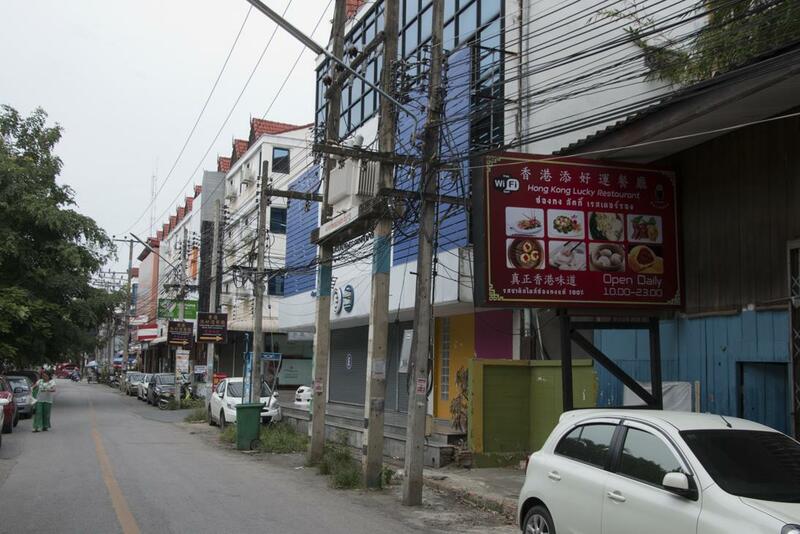 Turn right into Soi 7 and find a parking space. 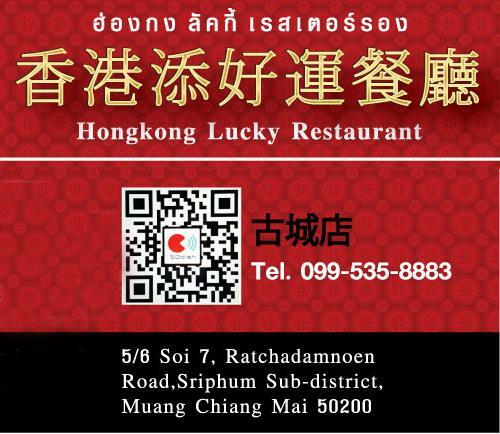 Directions to Hong Kong Lucky Restaurant From Wat Phrasignh: Go East up Ratchadamnoen and turn left into Soi 7, immediately before the Muang Chiang Mai Police Station, which will be on your right. Once on Soi 7 look down a small street on your right where you will see the Chinese/English sign for Hong Kong Lucky Restaurant. Family Style dining: At 5:45 p.m. before each regular meeting, we enjoy an informal family style dinner. Please make your reservation(s) by sending an email to TableCaptain@cmirotary.org , not later than 10:00 a.m. on the day of the meeting. 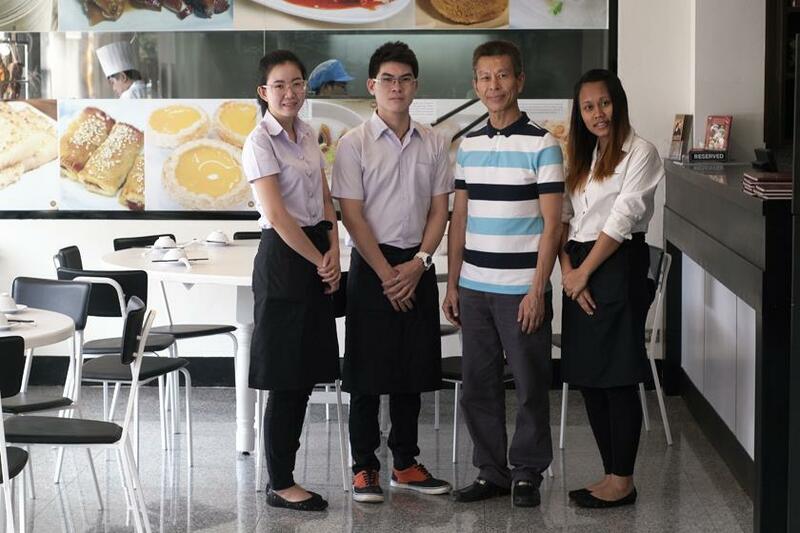 The cost of the family-style dinner is ฿300 per person. The chefs at Hong Kong Lucky will prepare dishes according to the number of reservations. Note: If you make a family-style dinner reservation and do not cancel by noon on the day of the meeting, you will be liable for the ฿300 dinner cost, as the club will have to pay the venue based on the number of reservations. Drinks are on you: For all diners all drinks are charged individually. The staff at Hong Kong Lucky ask that drinks be paid for at the time they are served. From the Menu Dining: There is also the option of ordering your separate dinner from the menu and paying a separate bill. No reservations are required. Please note that all family style diners will be served before the individual orders are prepared and served.